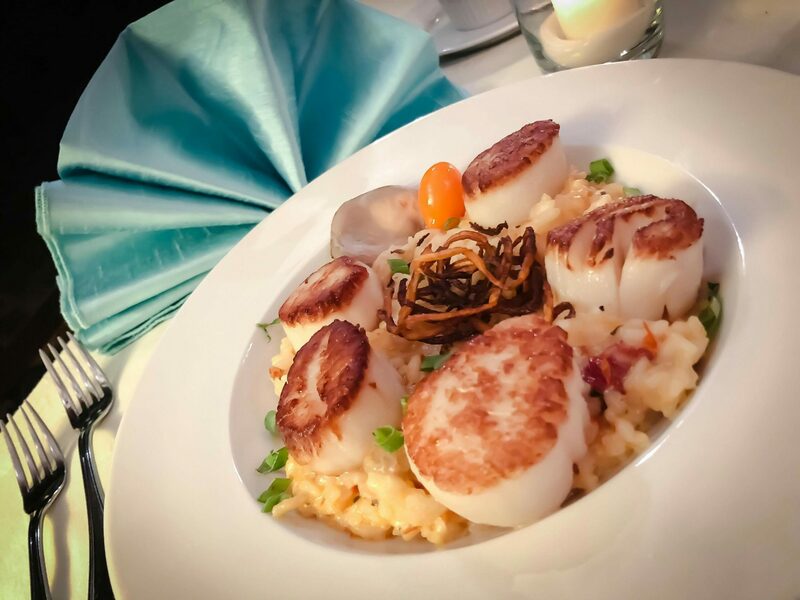 Seared Scallops over wild mushroom and sundried tomato risotto, topped with fried spiral cut sweet potato….it is on our November Menu!! Our monthly menus are created with ingredients that are fresh and delicious throughout the year. This amazing dish was inspired by a day of foraging by Chef Dave. The beautiful chanterelle, trumpet and other mushrooms that he found went into this creamy risotto. The fresh scallops harvested in the cold New England and Canadian waters are seasoned and seared to perfection. Top it all off with the spiral cut sweet potato that is deep fried to crispy and the dish is heavenly!! It has the perfect balance of creamy and crunch! Come in during November to give it a try. Call 207-992-4090 for a reservation.